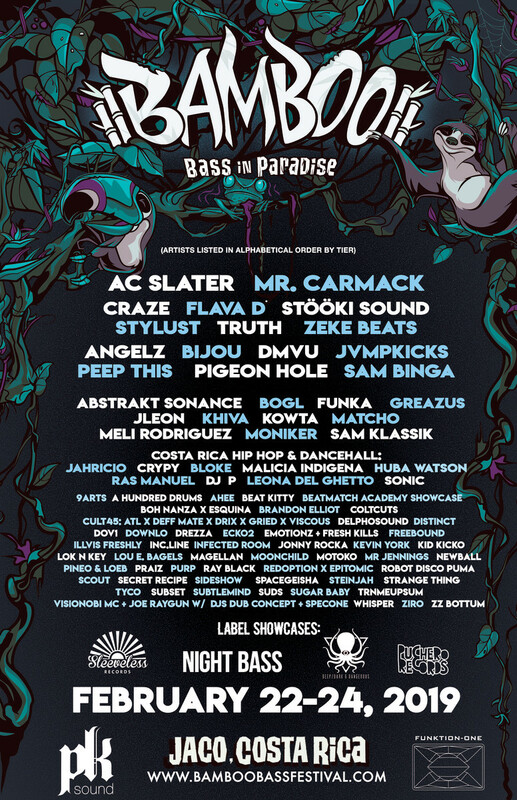 Bamboo Bass Festival is returning to beautiful Jacó, Costa Rica this February. Now, the eagerly-awaited 2019 lineup is out in its entirety! Though Bamboo is known for being a bass lover’s paradise, this year Bamboo Bass’s carefully curated artist roster is stacked with a hard-hitting and eclectic variety of styles. For its fourth year, Bamboo will see headliners like Bijou, Craze, AC Slater, as well as Stylust’s second Bamboo appearance performing in the rising screw-house duo JVMPKICKS. This year each night will feature showcases from different record labels. Sleeveless Records is taking over Sunday with favorites like Zeke Beats, JLEON, Pigeon Hole, Kowta, Stylust and more. We’ll also get showcases from Truth’s Deep, Dark and Dangerous, Night Bass, and Costa Rican hip hop and dancehall from Puchero Records. As if the lineup weren’t enough, Bamboo’s got a new venue for 2019. The Park at Ocean Ranch features a number of on-site adventure activities including horseback riding, ATV tours, ziplining, and waterfalls. With a new venue, new stages, and an outrageous lineup, Bamboo’s fourth year is looking to be one of the best. Tickets and layaway plans are still available. 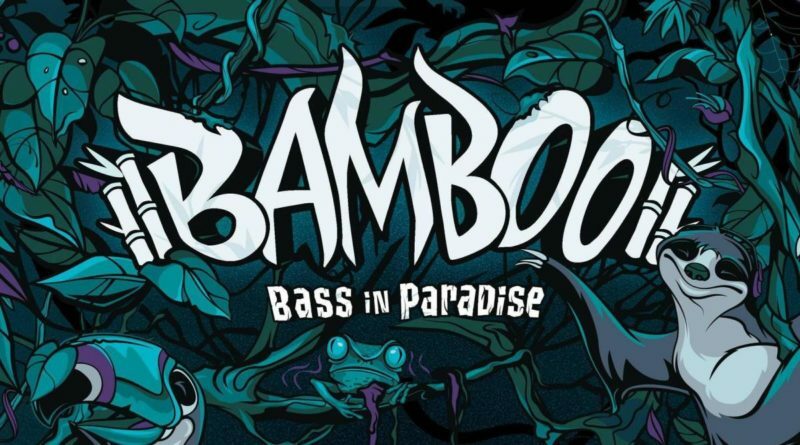 The post The Full Lineup for Bamboo Bass Festival 2019 is Out Now appeared first on Run The Trap: The Best EDM, Hip Hop & Trap Music.